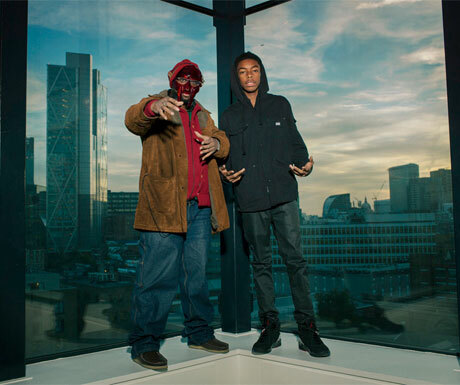 According to on-the-rise rapper Bishop Nehru, we're not too far off from the release of his NehruvianDOOM collaboration with metal-faced hip-hop icon DOOM will finally drop this fall. Though details on the joint effort are still mostly up in the air, the New York teen tweeted out an official release date of September 23. As previously reported, the album will arrive through Lex Projects. A tracklisting has yet to be revealed, but the partnership previously premiered a video for the record's "Darkness (HBU)." Finding the youngster flowing atop one of DOOM's old Special Herbs beats, you can see the clip down below. A press release from Lex adds that NehruvianDOOM had the twosome working out songs over email, with the UK-based super villain sending out Metal Fingers-touchedtracks for Nehru to rhyme over.